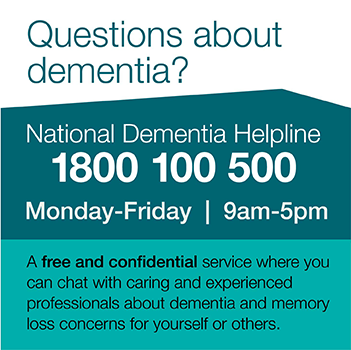 Dementia Australia | Where will my documents be recognised? This page provides a plain-English overview of the legal processes involved in planning ahead, as well as links to local information. To get advice about your individual circumstances it is recommended that you consult with one of the agencies referred to below or a legal practitioner. Will my advance directive and other legal documents relating to planning ahead from other parts of Australia be accepted in the ACT and will documents written here be recognised in other states and territories? While legal documents from one state or territory are often accepted in others, it is difficult to give exact answers to this question that will be accurate for each person’s circumstances. If you have moved to the ACT from interstate, we recommend you contact the Civil and Administrative Tribunal to discuss and clarify your situation. If you are moving from the ACT, we recommend you contact the guardianship authority in the state or territory to which you move to clarify your situation. If you cannot get clear answers, it may be best to redo your documents using the forms available in your new location. The ACT Civil and Administrative Tribunal can be contacted here or by calling on (02) 6207 1740. ‹ How else can I document my wishes?